Last weekend was my second time to be moderator for my book club's monthly online-and-offline book discussion. The first time I moderated a discussion was in November 2012 for Elizabeth Kostova's The Historian, supposedly with horror as theme. 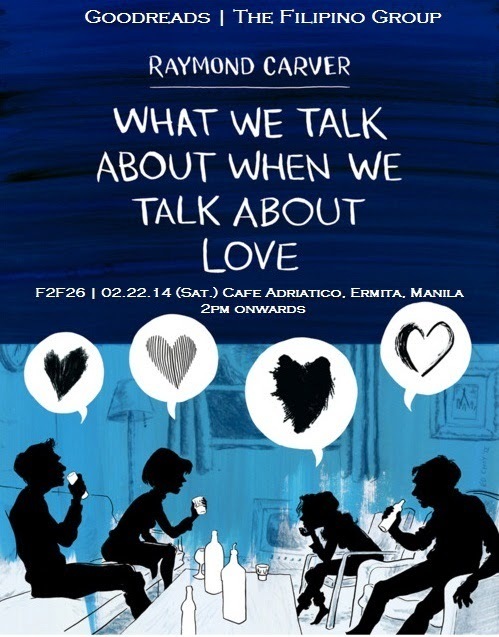 This time, the theme for this month's discussion is short stories, and the book club chose Raymond Carver's What We Talk About When We Talk About Love: Stories. The other contenders for book of the month were Jhumpa Lahiri's Interpreter of Maladies (moderator's choice), Junot Diaz's Drown, and Kazuo Ishiguro's Nocturnes: Five Stories of Music and Nightfall. 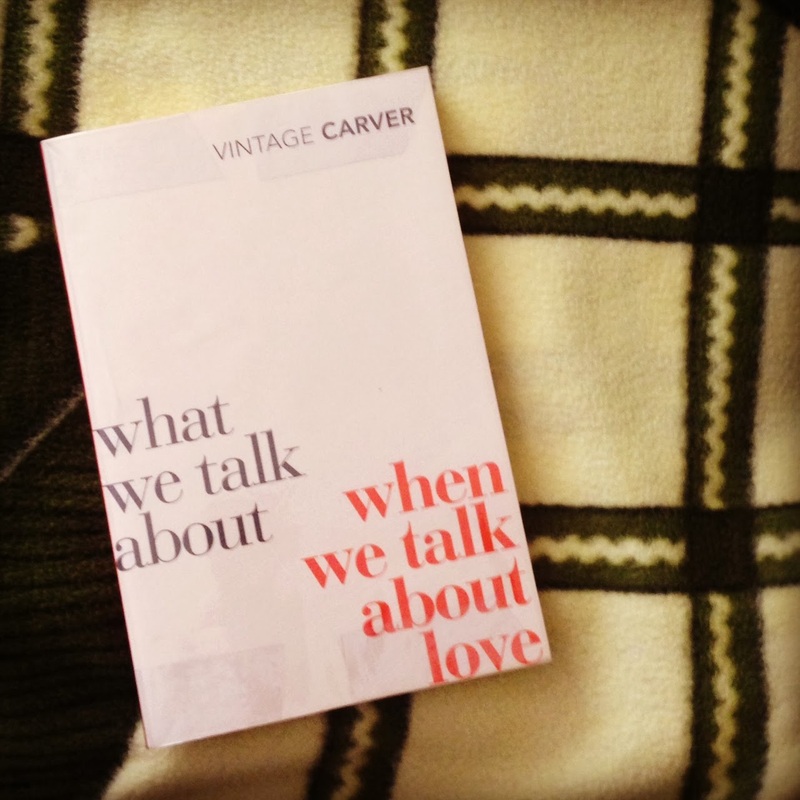 Carver's most popular collection of short stories won in both the online and offline polls, and while it wasn't my personal choice, later on I actually felt thankful that it did win -- the stories, being highly subjective and open to interpretation, were a rich source for a stimulating discussion. 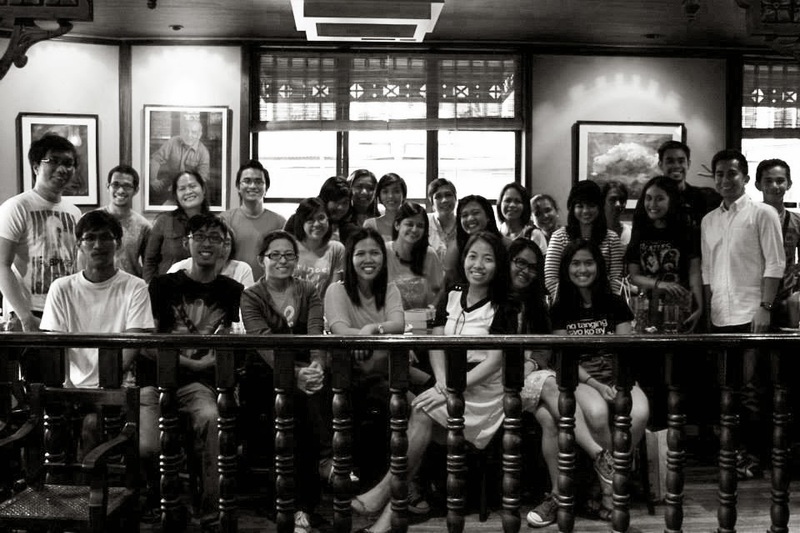 The face-to-face (or what we have coined as "F2F") discussion was held at Cafe Adriatico, Remedios Circle, Malate, Manila (when I'm F2F moderator, the choice of Manila as venue is a given) and was a well-attended affair -- I had counted 24 people, excluding myself, to be there based on the event RSVP and sign-ups for the activity that I prepared, but 27 people showed up! To be honest, I was worried that the area I reserved for our purpose might not hold our number, but thankfully, it did. But it was a huge challenge to be on top of the discussion when there are so many people wanting to talk all at the same time. We did create quite a racket that day, much to the obvious annoyance of the waitstaff. Still, it was a fun discussion -- I'm glad that people were game in answering questions despite the popsicle stick gimmick and participated readily in the activities that I prepared. A couple of members who haven't been attending our monthly meetings in a long time were there, and we welcomed a newbie to the group as well. The attendees of F2F26. Photo by Ella. Oh envy! When will I ever attend an F2F? Sniff.